With its fresh look and simple navigation, the site now provides easy access to more opportunities for visitors to connect with our education partners, learn about our accredited certifications and most importantly engage with the larger DevOps community. 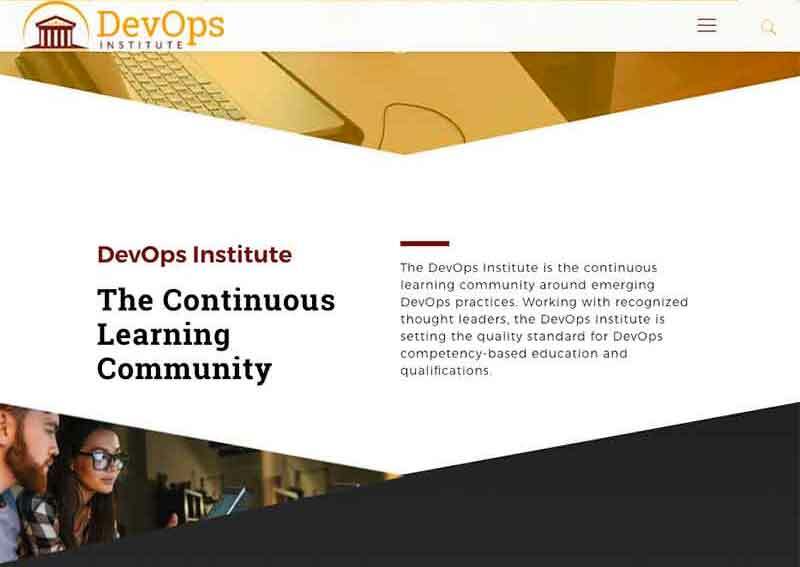 Since our launch in 2015, the DevOps Institute has seen the rapid rise of interest and adoption of DevOps practices, principles and automation. Above all, we love the emphasis on culture and the recognition that people are the single most important element of the DevOps value stream. People drive the culture, execute processes, administer automation, and evangelize for acceptance. And people need to be given regular opportunities to learn, practice, evolve and connect. That’s why DOI is taking on the mantle of The Continuous Learning Community. We believe that people want to belong to a community that incites and excites their quest for new and innovative ways of working. Where they get to interact with prominent thought leaders and local education partners, acquire industry-recognized certifications, grow their careers and master new skills. Where they can understand, share and contribute to the growing DevOps Collective Body of Knowledge (Cbok). The Continuous Learning Community is open, globalized and membership is free. Working with our extensive global network of education partners, industry leaders and practitioners, we will foster continuous learning in a variety of settings – from local classrooms to international events to online podcasts, webinars and collaborative events. The DevOps Institute and our global partners are also supporters of learning events such as DevOpsDays, Jenkins World, and DevOps Enterprise Summit among others. Join us! Let’s build something fantastic together. We want the community’s input and feedback on how to deliver ongoing learning value – through content, courses, certifications, and collaboration. Don’t forget to listen to our new Podcast, Continuous Chit Chat here.